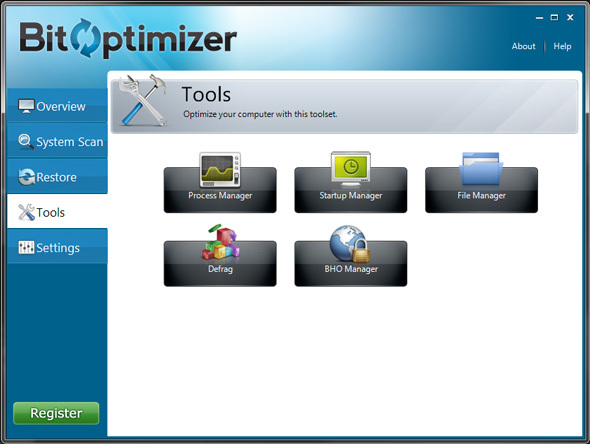 There are a few key functions that BitOptimizer performs in order to amplify your computer's speed and get it running 100% faster than before. These include Registry Repair, Faster Internet Explorer, Automatic Windows Updates, Malware Protection, Disk Defrag/Repair. The best part is you can run any of these functions as many times as you want and as often as you choose, so that your PC is always in peak condition. You can start by setting up an automated scan every week to ensure maximum efficiency.